Taking place on Friday, July 29th, there will be lively music, food, and drinks. For the main event, the Josh Davis Trio will perform for the second year in a row. JustWorld International launched “Cheers for Change” – a new grassroots fundraising initiative for 2016 to unite JustWorld’s supporters to help fund education and nutrition programs for children at JustWorld’s partner projects around the world. 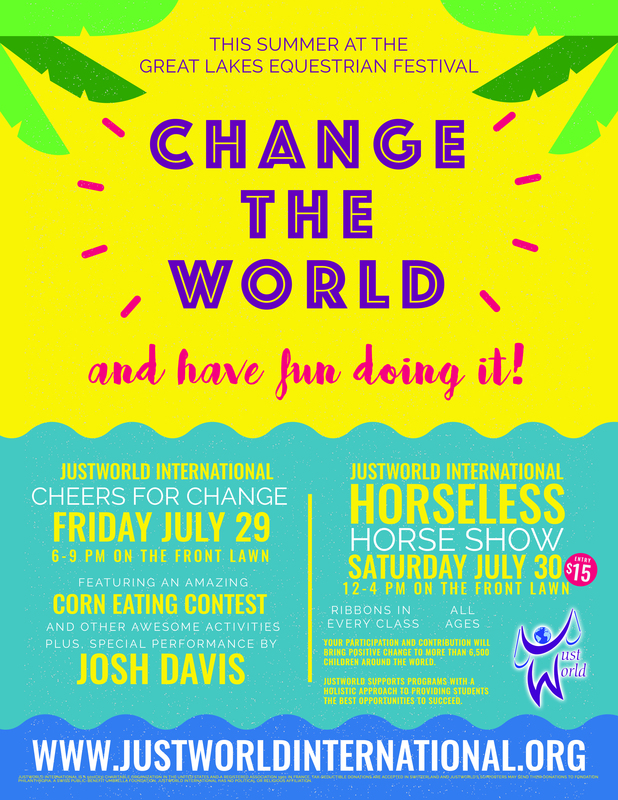 JustWorld is thrilled to announce that the Great Lakes Equestrian Festival will be hosting a JustWorld Cheers for Change event during Week IV of their circuit. The goal of “Cheers for Change” is to take the stuffiness out of the typical fundraising events and create an inspiring environment for supporters to gather their network together for an amazing cause. The Great Lakes Equestrian Festival will be inviting the local community to raise awareness and funds for JustWorld’s programs, all while having fun. Taking place on Friday, July 29th, there will be lively music, food, and drinks. 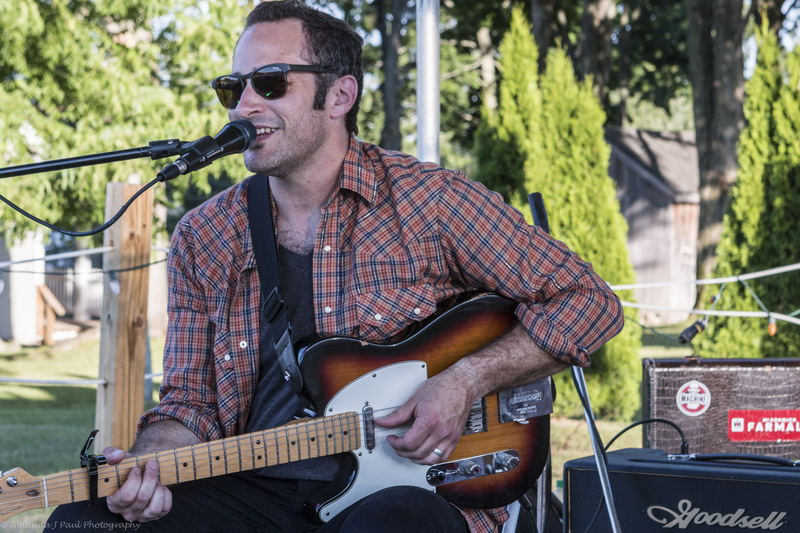 For the main event, the Josh Davis Trio will perform for the second year in a row. Josh Davis received third place on the popular TV show The Voice, and has become a household name. He is a gifted musician who writes original songs that blend many folk traditions – including gritty rock n’ roll and vintage soul. There will also be exciting activities for the kids, such as a bounce house and even a corn eating contest. For just $10 per person, all funds raised during the night will all benefit JustWorld’s projects. JustWorld will also be running a Horseless Horse Show on Saturday, July 30th from 1-4 pm during the Great Lakes Equestrian Festival. Cheers for Change events come in many shapes and sizes. Whether it’s a wine happy hour, a potluck, a fun party atmosphere, or a kid’s get together like a milk and cookies or pizza party, these gatherings tap into what the core of what JustWorld believes; that together we can create amazing change. With a goal of 100 “Cheers for Change” events this year, let’s cheers to the change we can accomplish together!